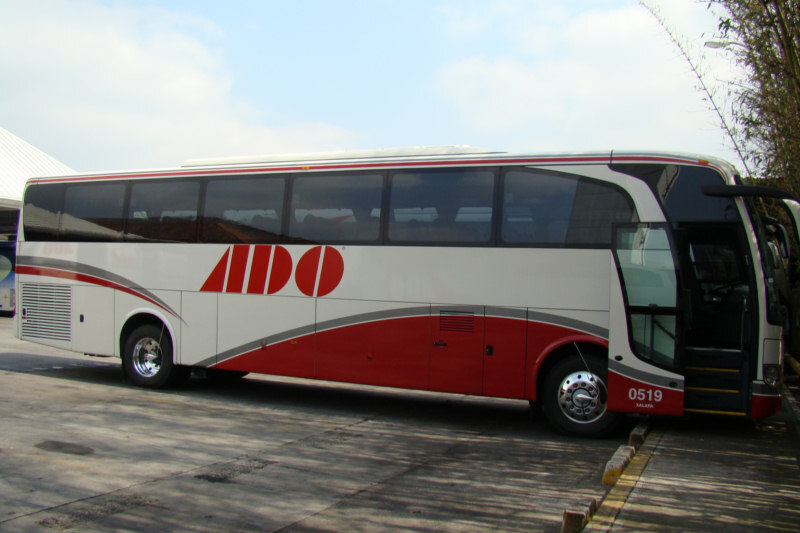 After successful trial runs the Mexican bus company ADO Group has launched its new services from Belize City to Merida and Cancun. ADO promises comfortable travel and affordable prices. ADO representatives held a press conference in Belize City on August 31 detailing the routes and regulations for the new services. The first run will depart from Belize City nightly at 8:00 p.m, after the last run by Belizean bus operators, stopping in Orange Walk, Corozal, Playa del Carmen, Cancun Airport and Cancun's bus terminal at 7:15 a. m.
The second run will leave Belize City, 8:15 p. m and will travel through Orange Walk and Corozal towns and into Merida, Mexico; stopping at courtesy stops and finishing at ADO Merida’s terminal at 7:00 a.m. the following morning. Passengers will only be allowed to board the buses if their destinations are Merida, Tulum, Playa del Carmen, and Cancun. The company has designated five buses and a total of ten experienced drivers to make the runs. The buses are first class grade, air conditioned with forty-four seats and a toilet. The company signed a ninety day contract with the transport department and made the first run last Friday, August 26th. So far ADO has transported between sixteen to twenty passengers and the company expects the numbers to increase. One way tickets from Belize to Cancun are BZ$79.00; to Playa Del Carmen, BZ$63.00; Merida, BZ$79.00; and Tulum, BZ$55.00. Tickets can be bought directly from one of the company personnel at the bus terminal in Belize City, Orange Walk and Corozal towns. The return portion calls the same stops and additionally Tulum, where ADO is promoting Belize and offering special deals to international tourists. This route will facilitate tourists to travel to Belize. None of the buses will stop in Chetumal in either direction. ADO said the service is designed to benefit Belizeans. It will bring greater savings for Belizean families, because people who need to travel to Cancun will not need to spend money for an extra night at a hotel or have their family members picking them up in Chetumal. Belizeans and also to provide tourists the easiest and most comfortable way to travel to Belize. "We foresee that the new routes will increase the number of tourists entering Belize and contribute to the tourism industry". Here is the link for ADO's Website to check the timetable and reservation from Cancun. It's in Spanish, but if you use Google Chrome you can translate to English. It's seems that the Cancun departure is 10:15 a.m. Please check it out because I'm not too sure. This is great and it will make travelling so much easier for a lot of people travelling through Cancun to Belize. This new service should make travel for Belizeans wishing to vacation in Cancun and for tourists vacationing in Cancun who would like to add Belize as part of their itinerary much more convenient and affordable. It should help boost the tourism industry in Belize. Just open out a route I may consider! Miami-Bze tickets are way too ridiculous!